(front to back) Gracie Stocker Walsh on Nickers; Taylor Darling on Kelsie; Teagan Hedrich on Hank; Cash Stocker Walsh on Sonny. 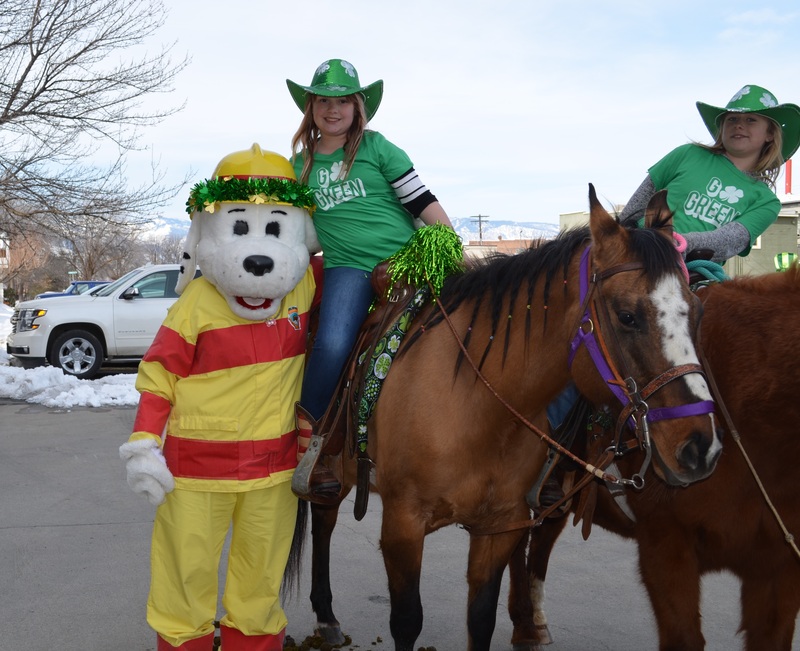 Hayley Stocker on Grace; Gracie Stocker Walsh on Nickers with Sparky. Teagan Hedrich on Hank; Gracie Stocker Walsh on Nickers; Hayley Stocker on Grace. 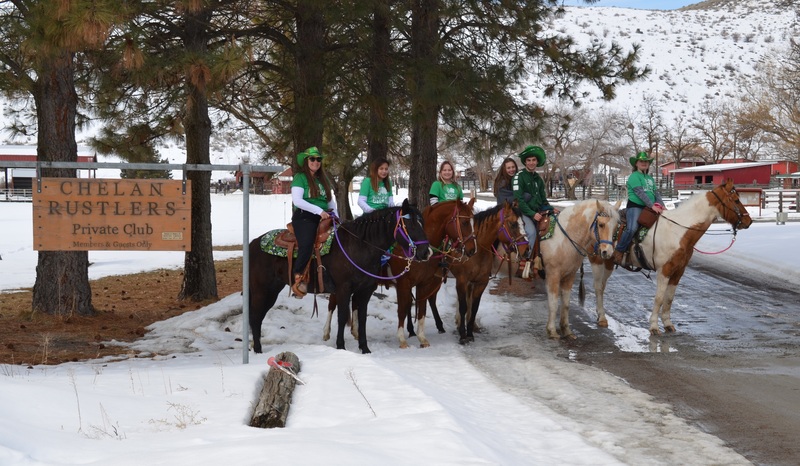 Cheyenne Stocker Walsh on Gypsy; Taylor Darling on Kelsie; Hayley Stocker on Grace; Cash Stocker Walsh and Jocelyn on Sonny; Teagan Hedrick on Hank. 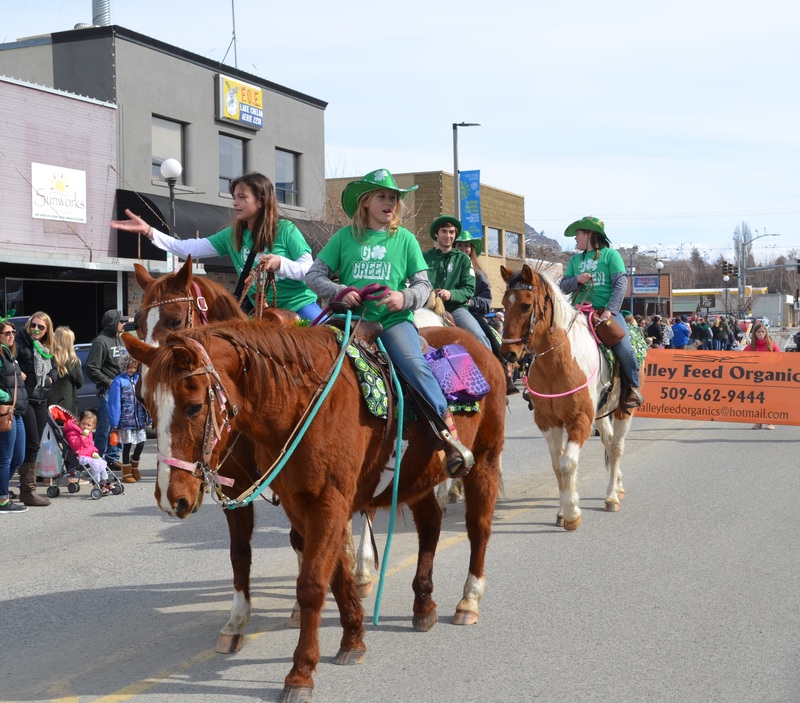 These young members are part of the Chelan Rustlers Saddle Club 4-H team, they decided to hike into downtown from the saddle club on horseback to join the parade. 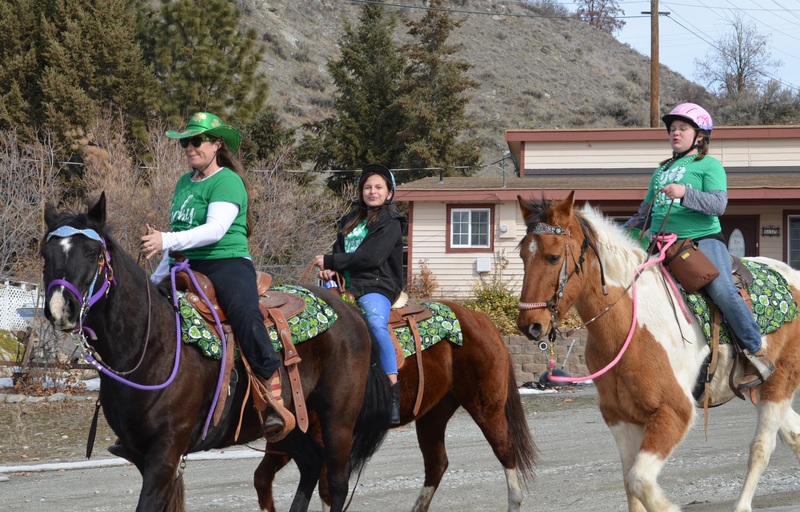 One of the Saddle Club board members, Cheyenne Stocker Walsh, rode along with them.